"Here's How To Save Between $50 - $100 PER HOUR When Buying Electrical Supplies ... And Increase Your Business Productivity!" "Great products, great price, great service, prompt delivery even to Far North Qld. I can order anytime and quoting jobs is now a breeze as all my prices are on the screen day and night. I cover the cost of the freight with the savings on just one item. I've never been busier thanks to SparkyDirect's competitive edge." Brenton Parnell, Eacham Electrics, Far North Qld. If you're still buying your electrical supplies from a "bricks and mortar" wholesaler, then you're probably wasting your time AND your money! Think about how much it's costing you to pay your sparkies to hang around an electrical wholesaler every time you need to pick up supplies for a job. While they're waiting to be served, or having a nice chat with staff across the counter, your payroll meter is ticking at $50 per hour (or even $100 an hour if you sent your sparky off to the electrical wholesaler with an apprentice in the van!). If, instead of driving out to the electrical wholesaler for product, all of your electrical supplies came to YOU, then you would be generating more billable hours for your business ... by sending your electricians straight to the job instead of making them run errands that cost you money and waste valuable time and petrol! Let's face it, you're probably working too hard and still not making enough money. You certainly don't need me to remind you that the demands of running an electrical contracting business can just eat into your time and profit. Keeping up with all the administration work required, staying up to date with changes in legislation, meeting safety and compliance requirements, and ensuring that your team is trained and certified for the job, means that you probably have no time to get your orders for materials organised ahead of time. Not being organised when ordering materials and supplies can cost your business a lot of money. We've already talked about your sparkies wasting time hanging around the electrical wholesaler waiting for parts. But what about when staff members make buying decisions? Are they really comparing products before they buy to make sure they are saving your business money? As an experienced electrician and electrical contractor, I know that if it's not the owner of the business (or their life partner) who is doing the buying, then, more often than not, your money is being spent on more expensive items. Why? Because when it's the bosses' money, it doesn't really matter, does it? As the leading online wholesaler of electrical items in Australia, we know that most electrical wholesalers are charging you too much for your electrical supplies. We know this, because we make it our business to know what electricians across Australia are paying for supplies, then looking for ways to offer sparkies a better deal. And if you think that material costs are just part of the job and that it doesn't matter what you pay for it because you will just add a margin on top and hope you'll make a little profit at the end of the day, they you're making a BIG mistake. You could be pricing yourself out of a job, especially if you are competing with other electricians who are quoting jobs way too cheap just to try and keep themselves fed. What if you could reduce the cost of buying parts and then sell the product as if you had paid the usual higher price you've been paying until now? Your profits would immediately soar with no additional effort on your part, right? As you know, every dollar you pay extra for electrical supplies is money that could be going straight to your bottom line. "I am extremely impressed with your prompt delivery of goods and magnificent service that you provide. The competitive prices are too hard to pass by and you delivered quicker than our usual suppliers. The website is extremely easy to use and I will certainly not hesitate to recommend you. I will be in touch in the very near future for more product. Congratulations on a great job." Bob P, Brisbane. 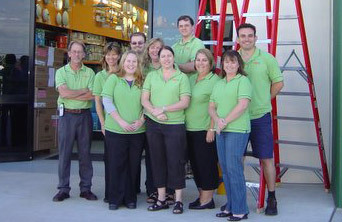 At SparkyDirect.com.au, we give you an easy, quick and cheap way to save money and minimise downtime. Just create an account with SparkyDirect.com.au and start using our online ordering system immediately. Instant access to all the popular brand name products. Compare items from different brands and order from one location. Our prices are available 24x7 for quoting and buying. We offer the widest range of products available: electrical, lighting, air conditioning, stove parts, appliance, safety, etc. Browse hundreds of everyday products at the click of a mouse. We drop ship. Our products get delivered directly to the location you specify. Extremely low delivery charge of $10.95 INC GST on over 90% of orders dispatched to date. Fast delivery. We dispatch quickly to most metropolitan locations Australia-wide using nationally trusted couriers. Track your order online directly from your customer account area. Buying online saves you time and petrol. Buy in bulk lots and save even more money. We pride ourselves on offering you exceptional customer service. Email us, chat to us live online ... even talk to our manager by phone if required. Pay for your order securely with credit card. We charge no fees for credit card purchases. Plus, you can earn loyalty bonuses and up to 55 days interest free depending on your card. Ordering Online From SparkyDirect.com.au Is 100% RISK-FREE! As I have already pointed out, at SparkyDirect.com.au we not only give you the widest range of products at fantastic prices, we also ship out most orders within 12 - 72 hours and only charge $10.95 inc GST on over 90% of orders dispatched to date and you also get it delivered to the exact location you want it delivered to. Get Started Now ... Once You Order Online From SparkyDirect.com.au, You'll Kick Yourself For Not Having Done It Sooner! SparkyDirect.com.au was built by sparkies for sparkies, so we completely understand the problems and frustrations that electrical contractors go through. We not only guarantee to help you save money and time, we guarantee the best customer service you'll ever get, so you can purchase with complete peace-of-mind. *Up to 10% restocking fee may apply to cover credit card fees. Get started now! Click here and let's help you get started on the path to making MORE MONEY in LESS TIME.